The simple geometric forms are arranged to create a double-height entry rotunda and galleries generously lit by saw-tooth skylights. 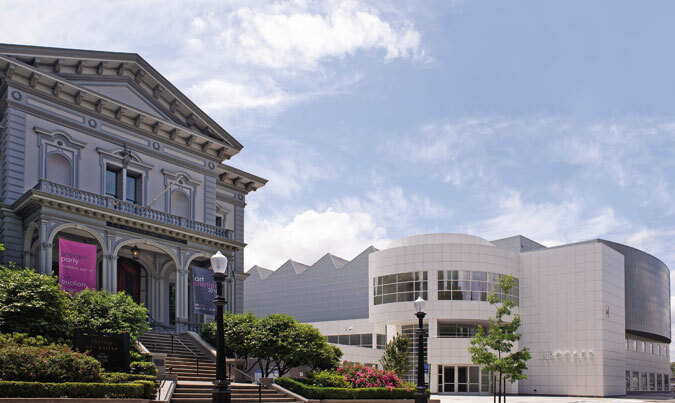 Yesterday, Sacramento’s Crocker Art Museum unveiled its new expansion by Gwathmey Siegel & Associates of New York. At 125,000 square feet, the $75 million addition becomes a new architectural identity for the oldest art museum in the West. Yet it also represents one of the last major works by Charles Gwathmey, who passed away last summer. The new structure is interconnected with the Crocker’s two Victorian buildings. 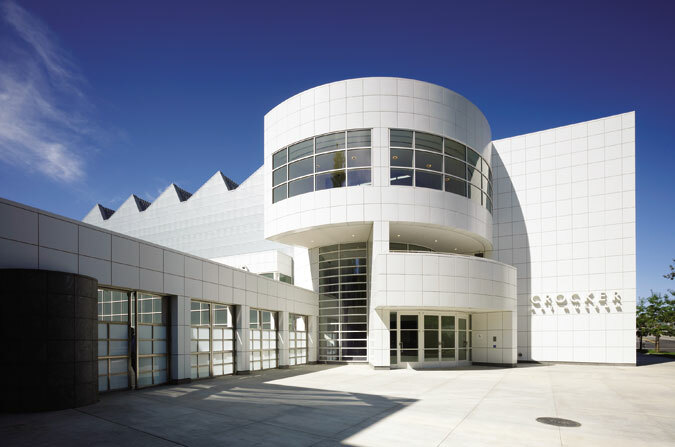 The firm has been responsible for several other high-profile museum expansions—most famously, an addition to the Frank Lloyd Wright–designed Guggenheim in 1992—and was selected to prepare a masterplan for the museum in 2000. At that time, the museum’s main display space was the portrait gallery in one of its two 1860s Victorian buildings, which meant that over 95 percent of its 15,000-item collection was sequestered away in storage, including an extensive collection of master drawings. Connections between the addition and the victorian buildings are reinforced by dramatically framed views. An expansive glass wall faces a courtyard between the new and historic structures. To bridge the contemporary addition with the interconnected Victorian buildings, the firm worked to match up the floor levels. To that end, it sunk the auditorium below grade, placed the administrative offices on the second floor, and placed the galleries on the third. 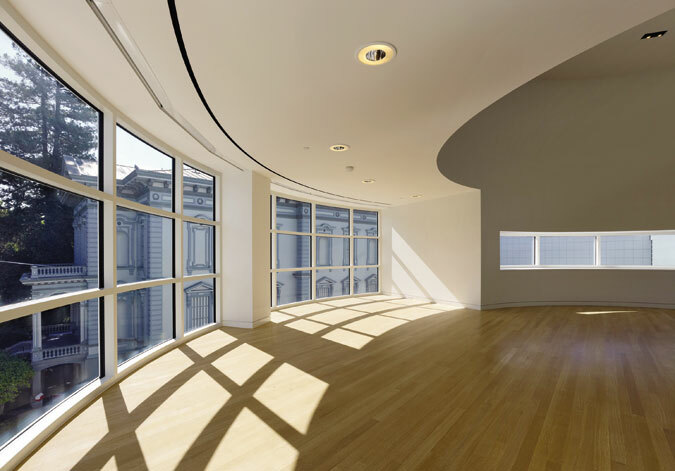 The 35,000 square feet of galleries are primarily daylit, using sawtooth skylights. 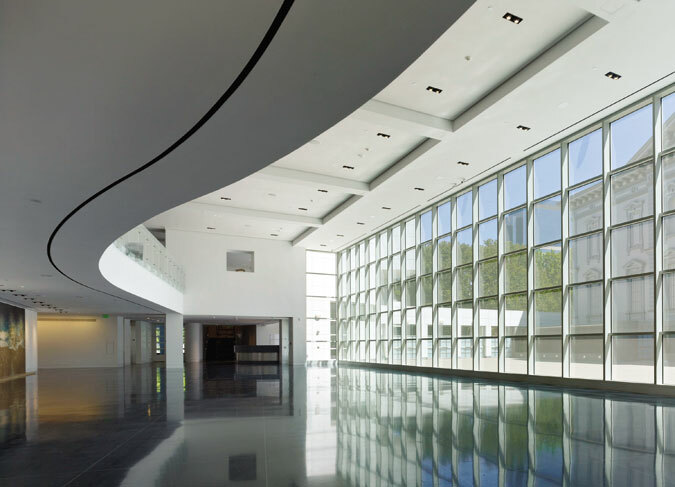 To showcase the old gallery’s ornate form, the entrance leads to a hall with a 120-foot-long window wall that frames the historic building across the courtyard.